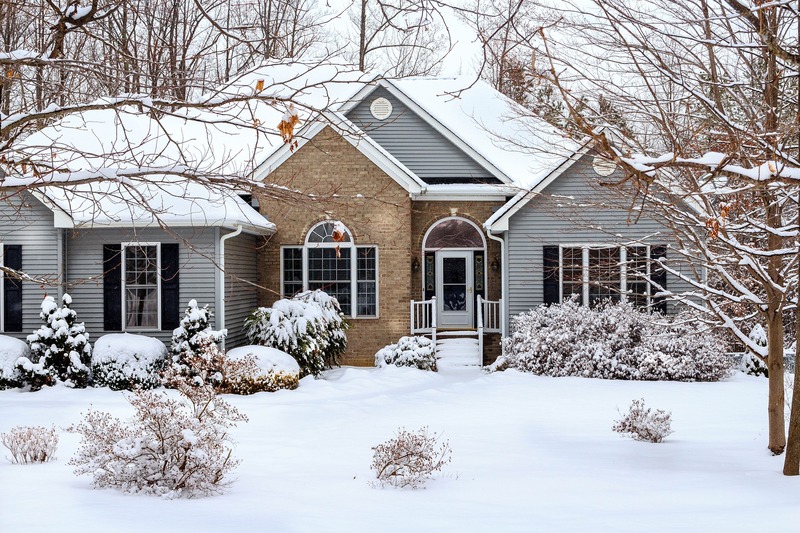 Curb appeal: you know from one glance at your home whether you have it or not. And if yours needs sprucing up, you may be wondering where to begin and how to make the most impact for an affordable price. At Old Mill Brick, we challenge you to think outside the paint can and give your home a total transformation with thin brick veneer. What is thin brick veneer? Thin brick veneer from Old Mill Brick is—well, brick. It is made from a regular fire kiln clay brick and then cut thin. This makes the thin bricks easier to install and weigh significantly less. Thin bricks are available in an array of designs, textures, color choices, shapes, and sizes. And compared to other light-weight cladding systems, thin brick veneer provides better resistance to noise, minor impacts, and light. And it’s fireproof. While thin brick veneer is an obvious choice for updating the curb appeal of your home, you can also use it inside your home to add warmth and character. Adding a stately fireplace surround, charming exposed brick wall, or classy kitchen backsplash are all projects you can easily take on yourself to breathe new life into your home. Brick veneer is easy to install. You do not have to be a brick mason to install Old Mill Brick thin bricks. Our patented Brickpanel + system can be installed over indoor and outdoor surfaces and provides helpful guide channels to ensure perfect alignment every time. Apply Old Mill Brick panels (no brick ties or ledges required) following our simple instructions for an easy, cost-effective installation that will look like the work of a professional. 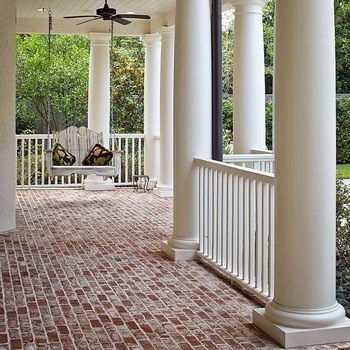 Thin bricks offer unlimited design opportunities for your home renovation project like adding stately columns, brick feature walls, even outdoor kitchens. If irregular exterior walls are a concern, thin brick veneer can be sanded or rasped to create a uniform appearance. Ideas for curb appeal updates with thin bricks. Options for using thin brick veneer to add instant curb appeal to your home abound and are limited only by your imagination. These are some of our favorite curb appeal transformations. 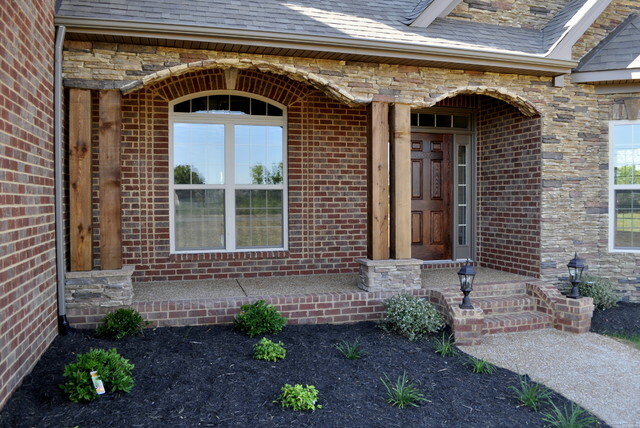 Use brick veneer to update the porch, foundation, and stairs of your home. Transform your home exterior using our lightweight, easy-to-install thin bricks for a sophisticated, professional finish to your front porch remodel. Instantly upgrade your front step using thin bricks. The result is an impressive, affordable, and low-maintenance entrance to your home. Transforming your siding is simple with our Old Mill Brick's Brickpanel + system. 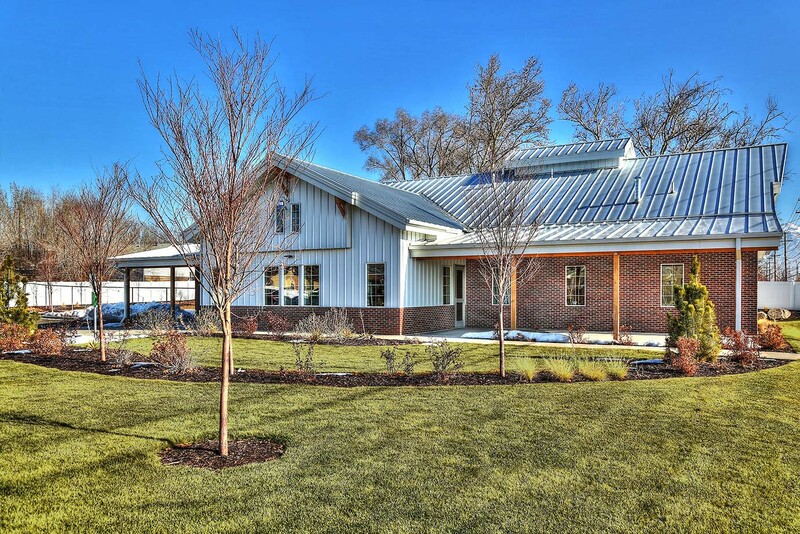 The system makes it easy to upgrade the exterior of your home, improve insulation and adds an aesthetic appeal that will never go out of style. If you’re looking for a siding solution, thin bricks are a great way to upgrade your curb appeal. Old Mill Bricks makes it easy to add a DIY accent wall entry to your home. The thin brick panel system is an affordable, lightweight, easy-to-install way to update your home.